For schools, pests are a high risk issue due to the continual movement of both food and people in and out of buildings. The health, safety and wellbeing of both staff and students are of paramount importance in creating a dynamic learning environment. At Javelin, we understand the unique challenges faced by schools in Myanmar and our products and services are tightly tailored to your needs. Using an Integrated Pest Management approach, Javelin partners with schools to ensure both students’ and teachers’ remain focussed on the joy of learning and are not compromised by pest issues. Pests carry diseases and bacteria and leave these on tables, surfaces and food preparation areas, increasing the likelihood of illnesses, such as Salmonella and E-Coli, being spread to children. One outbreak of illness or any incident at school can quickly spread between parents and associates, who are worried for the welfare of their children or relatives. This can easily damage your hard-earned reputation. Flies can easily enter canteens and eating areas through doors and windows and can transmit bacteria such as Salmonella. Mosquitoes in dining areas can make for a very uncomfortable experience and carry a host of diseases. 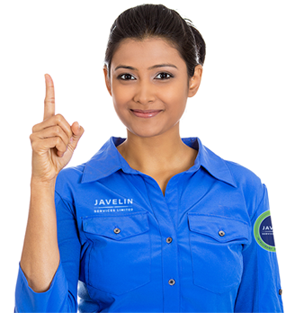 With an Integrated Pest Management approach, your Javelin service team will detect, assess, treat and monitor any pests for long-term protection. We use a range of tailored solutions, including hygiene and proofing advice, spraying, and gelling in the most targeted applications to avoid the risk of potential food contamination and both pupil and guest health issues. After a detailed inspection, a combination of IRS (Internal Residual Spraying) and IGB (Insecticidal Gel Baiting) would be administered to eliminate the infestation as quickly as possible. When necessary, monitoring devices will be deployed to monitor activity to detect a re-infestation at as early a stage as possible. We have a number of different solutions for mosquitoes including thermal fogging, larviciding and ULV treatment. For inside areas, our pioneering Mossoff repellent treatment can prevent mosquitoes coming inside and offers 24 hour protection for 1 month. The application of anticoagulant rodenticides in secured and protective bait boxes and/or snap-back traps and glue boards along the school’s perimeter fence, exterior walls and interior areas (if necessary) to safely achieve rapid reduction in rodent numbers. Measures will be taken to ensure that any snap-back traps deployed are out of reach of playing children. Solutions for outside spaces such as outdoor eating areas, playgrounds, sports fields and recreational gardens, can be both targeted and comprehensive. Our surveyors will be happy to discuss options and budgets and come up with the most appropriate solution to fit your needs. The presence of flies can be a real annoyance to your students and employees and are a sign of poor hygiene standards for parents. Traditional electrified grid models are loud and distracting and can create unhygienic conditions by causing the fly body to explode, leaving body fragments, bacteria and pathogens on surfaces up to 6 feet away. There is less risk of food contamination and tests have shown that glue-boards catch flies 100% faster than the Electric Fly Killer units. ILT’s are silent in operation, killing flies discreetly so that guests aren’t disturbed by buzzing and zapping sounds. There are many other pests from snakes to fleas that can cause problems for your school or potentially harm your students and employees. Termites can cause substantial damage to buildings and pose a very real threat to many buildings and structures.